Our regular store hours will be in effect for all other days. Wool N’Things has received more beautiful colours in Louisa Harding’s Pittura yarns. If you haven’t yet read about Pittura, visit our September post now. Blue Sky Fibers – 21 Color Slouch Hat Kit Has Arrived! Wow! 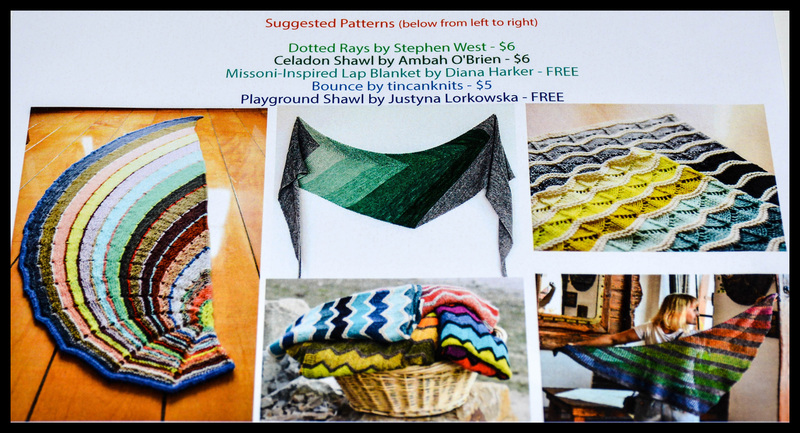 An amazing kit for a 21 Color Slouch from Blue Sky Fibers has arrived at Wool N'Things. Knit this really fun striped slouch hat, designed by Virginia Sattler-Reimer, in all 21 introductory Woolstok colors which we introduced to you in our September 6th, 2016 post. Included in the kit is the pattern and all 21 yarns needed to complete your project neatly bundled together with a suede tie. The kit is a great gift idea for the knitters you know or knit up the hat and gift it.